We pushed ahead with our product and technology initiative in China in 2018, and further investments in e-mobility and digitalization are planned. We have expanded our production network with new manufacturing sites. Volkswagen continued its product and technology initiative in its biggest single market over the past year. The new Touareg, which celebrated its world premiere in Beijing, represents our ambitions in the important SUV segment. In China, this segment now makes up 44% of the market volume of passenger cars. 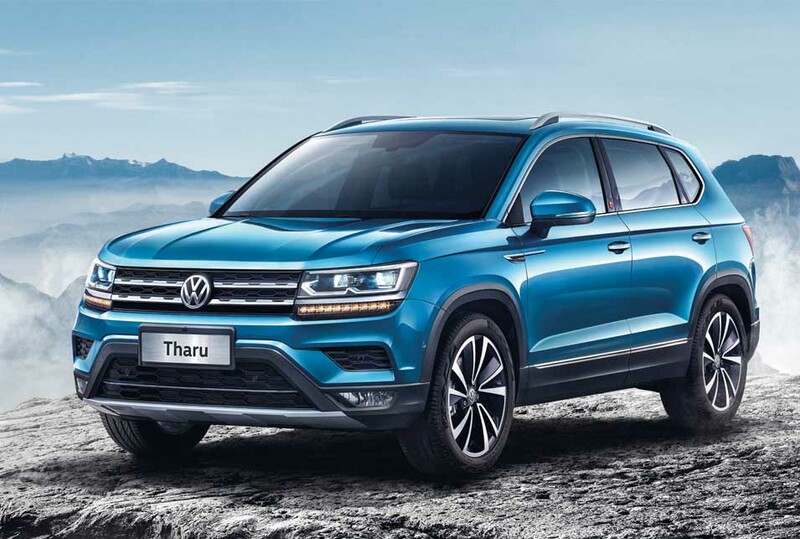 Alongside the Touareg, the following models also debuted: the extended-wheelbase Chinese version of the T-Roc, the new Tayron and Tharu models, the Audi Q5L, the locally produced Q2L and the ŠKODA Kodiaq GT. The updated Volkswagen Lavida and Bora models were introduced, in addition to the new CC. With the ID. VIZZION concept vehicle, the future flagship of the all-electric ID. family, we looked ahead to the sustainable mobility of tomorrow and beyond. Together with our partners, we plan to invest over €4 billion during 2019 in e-mobility and the digitalization of the model range, in new technologies and mobility services, in strengthening development and production capacity and in new products. We aim to largely extend our range of electric models on the Chinese market by 2020. To do so, we will introduce 30 new models – half of which will be locally produced. We are preparing to enable delivery of approximately 400,000 New Energy Vehicles to customers in China in 2020 and approximately 1.5 million in 2025. We currently manufacture vehicles and components at 23 sites in China. As part of our localization strategy for China, we opened new vehicle plants and one component plant in 2018. At the Tianjin plant, 300,000 SUV models are to roll off the assembly line each year, forming the basis for an SUV campaign. The opening of the second vehicle-manufacturing plant in Foshan, taking total capacity there to 600,000 vehicles a year, plays a pioneering role in our “Roadmap E” electrification strategy. In 2020, we plan to begin manufacturing vehicles based on the Modular Electric Drive Toolkit (MEB) and MEB battery systems at this location. In Qingdao, electric vehicles will also be built alongside models with combustion engines in future. In addition, the production of battery systems for the MQB platform will be located there. The Group’s first production site specially designed to produce MEB vehicles is scheduled to begin operation in Anting near Shanghai in 2020. Foshan and Anting will therefore follow closely behind the global MEB production launch in Zwickau in 2019. On the Chinese market, the Volkswagen Group offers more than 180 imported and locally produced models from the Volkswagen Passenger Cars, Audi, ŠKODA, Porsche, Bentley, Lamborghini, Volkswagen Commercial Vehicles, MAN, Scania and Ducati brands. We delivered 4.2 (4.2) million vehicles (including imports) to customers in China in the reporting period. The Tiguan, Teramont, Magotan, New Bora, Audi A4 L, Audi A5, ŠKODA Kodiaq, Porsche Cayenne and Panamera models were especially popular. In November, the Volkswagen Passenger Cars brand celebrated the 30 millionth delivery in China since production began there in 1983. Our two joint ventures, SAIC VOLKSWAGEN and FAW-Volkswagen, produced a total of 4.1 million vehicles in fiscal year 2018. This was 1.9% more than in the previous year. The joint ventures produce both established Group models and those specially modified for Chinese customers (e.g. with lengthened wheelbases), as well as vehicles developed exclusively for the Chinese market (such as the Volkswagen Lamando, Lavida, New Bora, New Jetta, New Santana and Teramont). The proportionate operating result of the joint ventures in the reporting year stood at €4.6 billion. The negative impact of more intense market competition, adverse exchange rate effects as well as the increase in research and development costs were offset by improvements in the mix, higher volumes and product cost optimization. The figures of the Chinese joint venture companies are not included in the operating profit of the Group as they are accounted for using the equity method. Their profits are included solely in the Group’s financial result on a proportionate basis.